Is there something in your life that you overthink and it holds you back from happiness or success? I overthink gifts. While I love to give good gifts, I get myself so worked up and anxious over buying gifts that it has become something I dread. I want to make sure the gift is useful, good quality, will be loved by the receiver, doesn’t seem too cheap, etc. But I manage to talk myself out of every gift idea I see, and in the end I’ve run out of time and energy and I end up buying something completely crappy and thoughtless, and being embarrassed to give it! My friend overthinks her relationships. Hasn’t heard from her new partner in 5 hours? Maybe he’s not really into her… maybe he’s changed his mind… maybe he’s dating other people and keeping his options open… She gets so worried and worked up over what might be going on, and that worry is dragging down whatever possible happiness she could be experiencing in a new relationship. And don’t even get me started on all the things my husband overthinks! What is it in your life that you overthink, and how do you tackle it? Becoming aware of the problem is the first step to dealing with it. For example, I need to brainstorm gift ideas before heading to the shops for inspiration. Wherever possible I need to try and have a specific plan before going to the shops. My friend might plan to not contact her partner until a certain time (say, 6 hours away) unless she hears from him first, and in the meantime, she could focus on some positive, funny, loving things that she might tell him when she does talk to him. This could distract her from thinking of all the negative reasons she hasn’t heard from him yet. 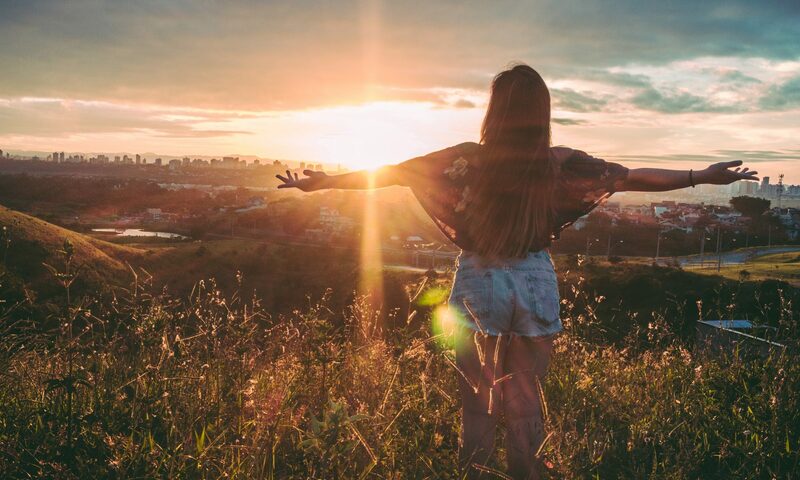 Consciously ask yourself: “If I were to just stop over-thinking this issue, what else could I be doing at the moment?” Rather than spending another four hours wandering the shops, I could be sitting down enjoying a coffee. Rather than stressing about her boyfriend’s lack of contact, my friend could be using the time to do something she enjoys. Allow yourself to think about it for a certain amount of time, and then force yourself to move on to something else. For example, I might only give myself 4 hours total to find a gift. I know as I’m approaching the deadline that I have to just pick something, even if I don’t think it’s 100% perfect. It’s probably still better than the piece of crap I’ll buy after sixteen hours of shopping on an empty stomach. As much as I want to find the perfect gift, if I’m a little off target and the receiver doesn’t love it, the world is not going to end. If my friend continues to get herself worked up she runs the risk of seeming like a crazy lady to her new boyfriend, and she’s really not that crazy so it would be unfortunate to scare him off unnecessarily! 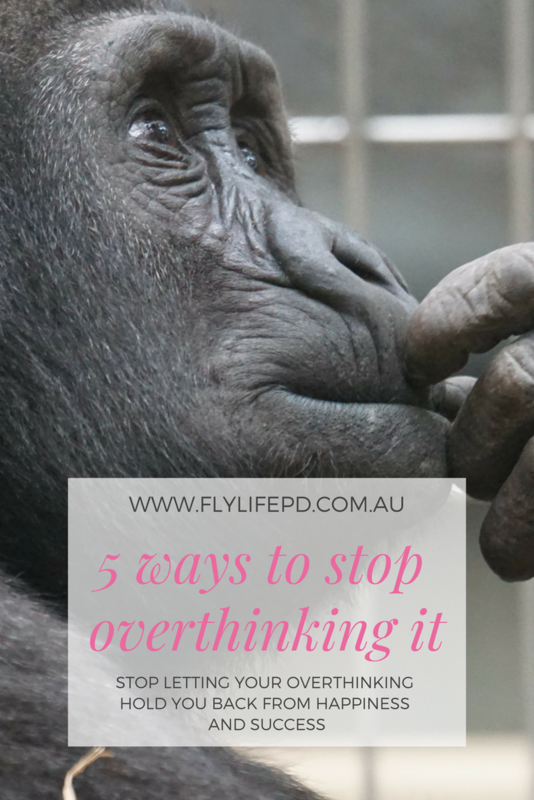 This is not a comprehensive list of ways to stop overthinking… You see, I spent a long time thinking about this post before I decided to just get it down and move on. Help me out here… what are some ways YOU stop yourself from overthinking something? Leave me a note in the comments. I overthink a lot of things that end up causing me unneccesary stress. I don’t have the answers but I’m hoping that I can learn from others’ advice. I overthink what I’m going to say when it’s my turn to talk in staff meetings. Then I stumble… Happens every week so I think I’ll try talking like dot points instead of attempting full sentences to see if that helps! Oh yeah I struggle a bit with that too. Trying to work out how to succinctly make my point when everyone is suddenly looking at me! Next PostNext From ordinary to excellent – it doesn’t take much.